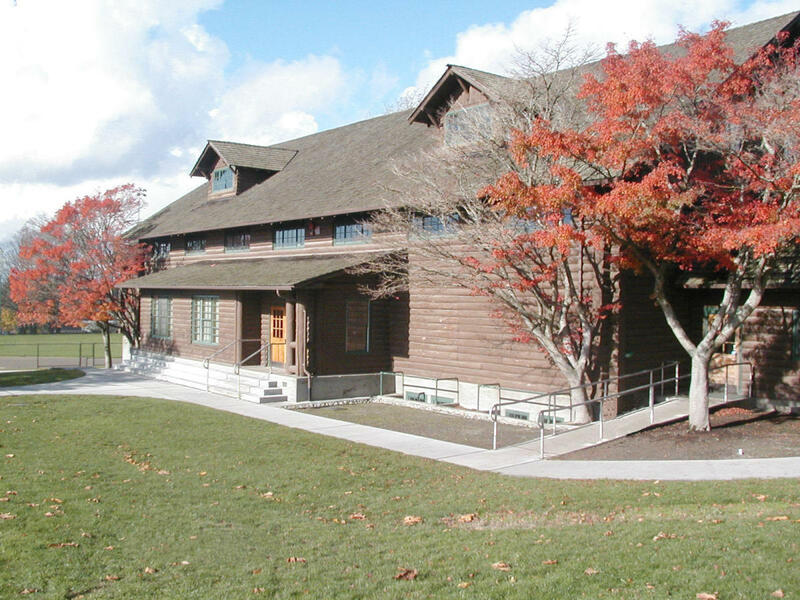 The Des Moines Field House, the only full-log cabin in Washington State, was built in 1939 as part of a Depression-era recovery program, and was designated as a King County Historic Landmark in 1984. The Field House offers three areas available for rent: the picnic shelter, a large meeting room (Studio), and Gymnasium. The Field House Gym is 48 feet by 97 feet and located on the upper level of the Field House. This facility is ideal for large size groups and receptions. 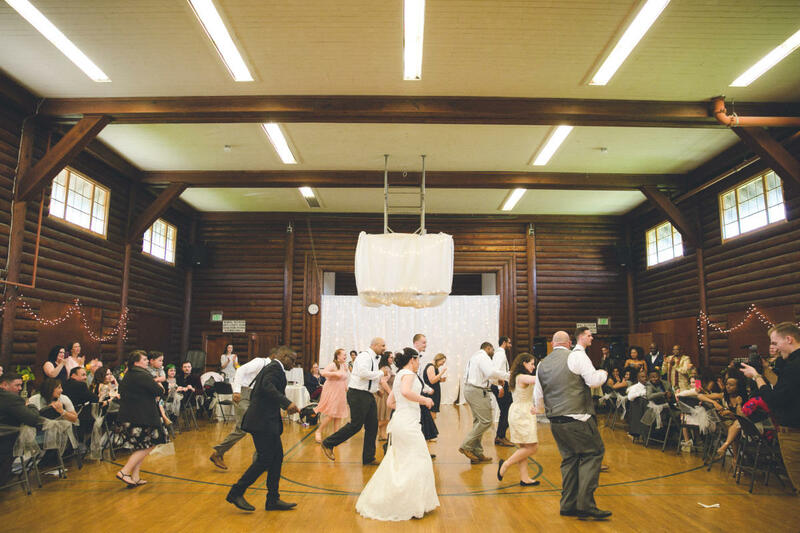 It’s log cabin appeal is enhanced with a full-length rock fireplace (not usable; for decoration only), the stage in the gymnasium is 19 feet by 16 feet with maple hardwood floors throughout the facility. Space Notes We offer 5 buildings and 3 shelters to select from. All vary in size and price. 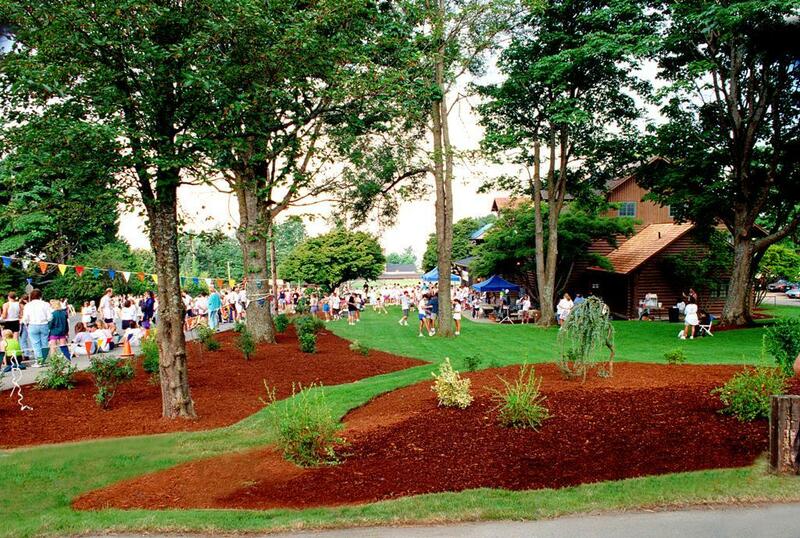 We offer 3 options for outdoor ceremonies and events.